Here at FXTM, we’ve taken a closer look at what this gigantic garbage patch is made of, and the results are shocking. The patch is an enormous 1.6 million square kilometres in size, and filled with over 79,000 tonnes of plastic – that is approximately 250 pieces for every human being in the world! This all has an extremely severe impact on ocean wildlife. Research has estimated that each year, over 100,000 marine animals are injured by plastics. 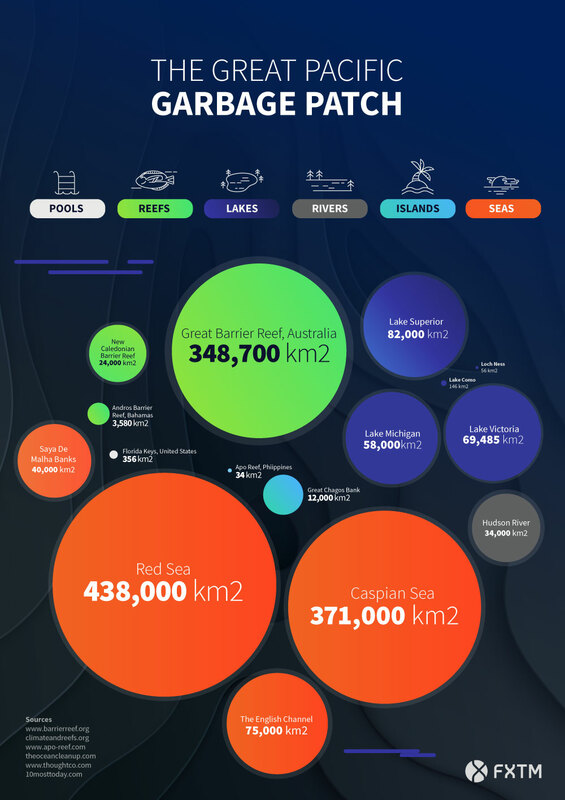 We’ve created an infographic in order to help you visualise just how big the Great Pacific Garbage Patch is. 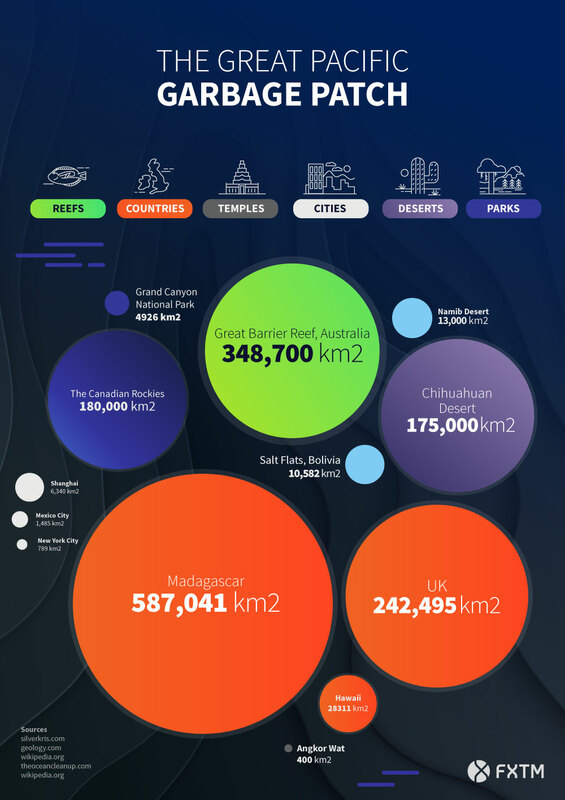 The whole of the UK, the Great Barrier Reef and the entirety of Madagascar – illustrated by circles on the infographic – can all fit comfortably inside of it, as can the Grand Canyon National Park, the Canadian Rockies, Hawaii, and the Chihuahuan Desert, to name a few.